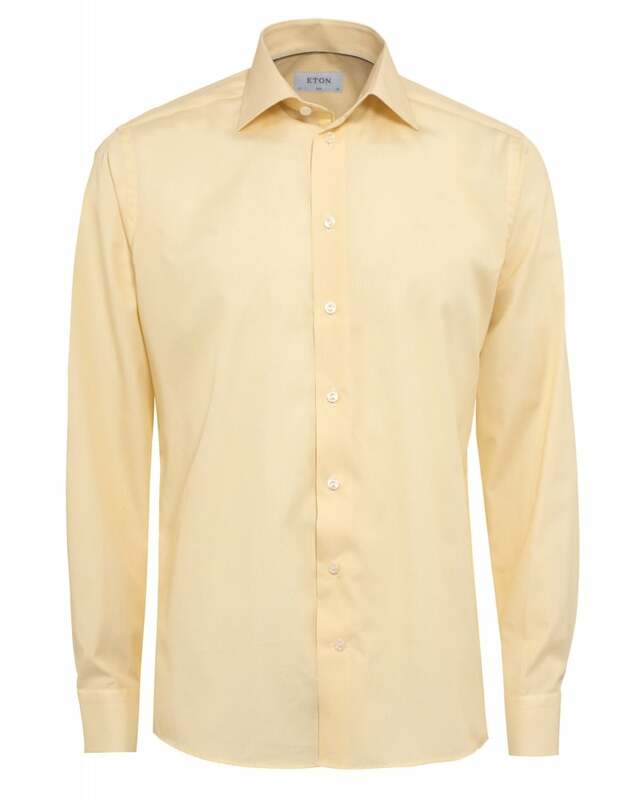 Usher in the new season with this yellow shirt from Eton. The yellow honeycomb effect on twill cotton creates a soft, intricate fabric, paired with tonal buttons and adjustable barrel cuffs, this shirt has great classic details. Wear this Eton shirt with a pair of formal Hugo Boss trousers and Grenson brogues.